With location in the heart of the Sunset and Chinatown districts, the office of Dr. Kevin Ho provides medical and surgical treatment of ear, nose and throat disorders for adults and children in San Francisco. It is our vision to provide excellent care to our patients through a comprehensive evaluation and personalized treatment plan in a caring, professional manner. We appreciate the opportunity to serve as your ENT specialist and are committed to providing you and your family the highest quality of medical care and personalized attention. 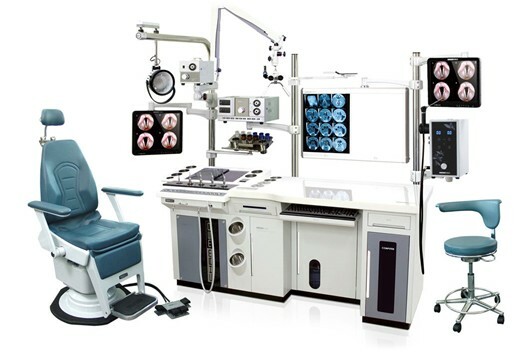 We use the latest technology in the field of Ear, Nose & Throat surgery, including in office microscopes, fiberoptic nasal and laryngeal endoscope, and balloon sinuplasty instrumentation. We also offer in house Audiology and Hearing aid services to provide a one-stop comprehensive service to our patients.